Agrahyah Technologies announces the launch of audio on demand platform. aawaz.com, the latest mobile app consists of professionally generated content in vernacular languages. You can listen to podcasts, chat shows, interviews as well as read the articles and features. 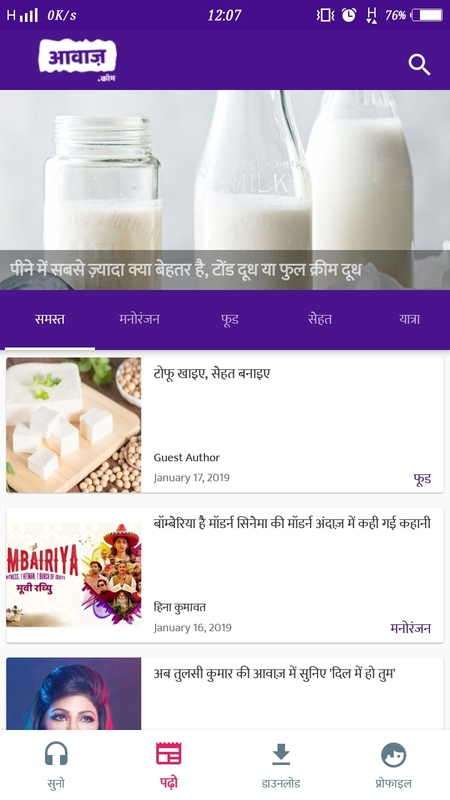 For now, aawaz.com is available in Hindi as both website and Android App. The App features machine learning (ML) and artificial intelligence capabilities to recommend and personalize the content based on user’s preferences. 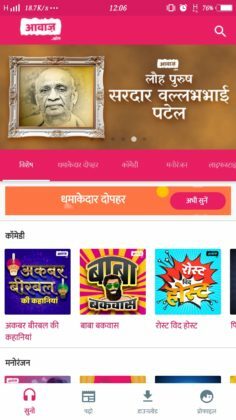 The audio content has scripts written by popular writers and voices of famous RJs.aawaz.com website and app. 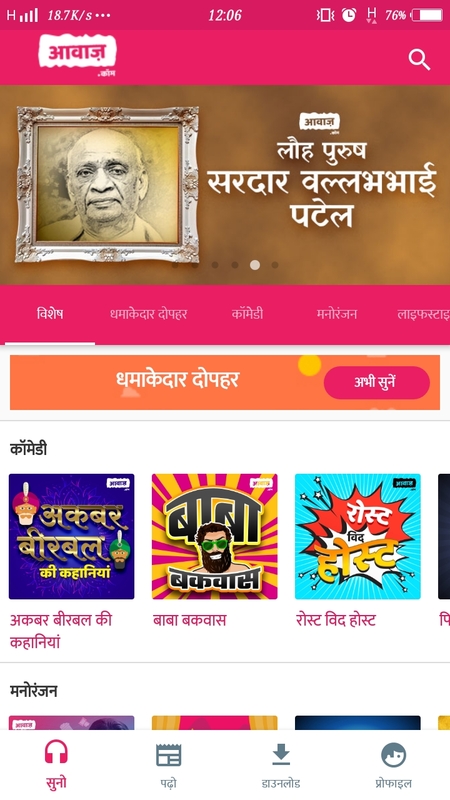 It targets the vast Hindi Speaking Market of India. 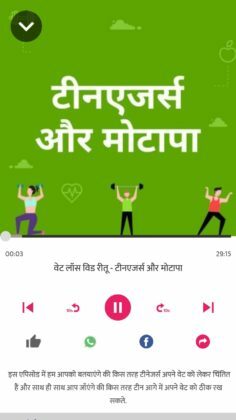 One who has a habit of reading news every morning but running short of time, they can save their time while listening to daily updates on the App. It is not just the news it is covering, aawaz.com spread across multiple genres. You can listen to the various chat shows, It even consists of a segment where career related audios are provided. Further, there are stories like Akbar-Birbal in form of audios which you can enjoy with your kids too. aawaz.com is basically a family app. The content provided has been created keeping in mind the user’s interest. Elder ones can listen to the news or prayers, then comes the interviews, chatshows for people who love to listen while traveling. As mentioned above, the App comes with stories which enable the kids to enjoy during bedtime. Besides the fact that the aawaz.com App is free of cost, It is also Ad-free. Ads interrupting in between is one of the most irritating things to deal with.